Zach Kerr is a talented football player, a family man and father to his son Enzo, a self-proclaimed “biggest mama’s boy in the world,” and now an advocate for the sarcoidosis community! Zach has teamed up with the Foundation for Sarcoidosis Research (FSR) as a spokesperson to raise awareness about sarcoidosis, an inflammatory disease that can wreak havoc on virtually any part of the body. For Zach, a defensive lineman for the NFL’s Denver Broncos, this fight is personal. Zach’s mother, Tinya Kerr, has battled sarcoidosis for years. Now, Kerr is using his platform to raise awareness about this rare, often-overlooked disease and funding for increased research. Zach and his mom Tinya are hosting a fundraising campaign to help advance sarcoidosis research. As a disease with no known cause and no cure, sarcoidosis patients like Tinya often have to take high doses of steroids which can have toxic side effects and long-term health consequences. The Foundation for Sarcoidosis Research is funding numerous promising research projects that aim at finding better treatments and one day, a cure for this disease. As the leading nonprofit organization dedicated to improving care for sarcoidosis patients, FSR has fostered over $4 million in sarcoidosis-specific research efforts and has worked diligently to provide resources to thousands. Sarcoidosis (pronounced SAR-COY-DOE-SIS) is an inflammatory disease characterized by the formation of granulomas—tiny clumps of inflammatory cells—in one or more organs of the body. When the immune system goes into overdrive and too many of these clumps form, they can interfere with an organ’s structure and function. When left unchecked, chronic inflammation can lead to fibrosis, which is the permanent thickening or scarring of organ tissue. While the disease can affect any organ of the body, 90% of patients have pulmonary involvement- including Tinya Kerr. 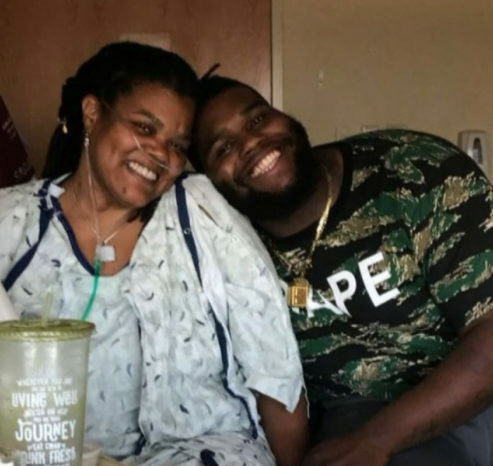 She’s suffered from serious pulmonary complications over the years, including multiple life-threatening lung infections, serious fibrosis or scarring of the lungs, and at times has depended on portable oxygen. Unfortunately, her story is not unique- these are common complications of a disease that can have serious consequences and even be fatal. Despite increasing advances in research, sarcoidosis remains difficult to diagnose and has limited treatment options. Zach Kerr played college football for University of Delaware’s Fightin’ Blue Hens. 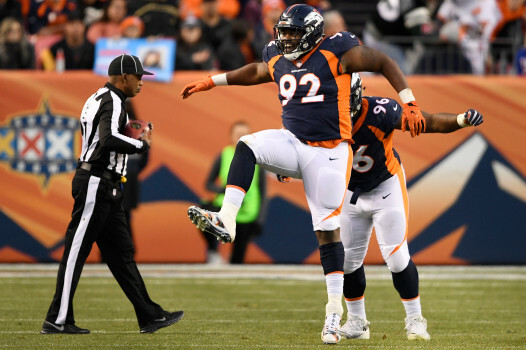 In his NFL debut, Zach spent a productive three seasons as a member of the Indianapolis Colts’ defensive line before being signed to the Denver Broncos in 2017. Zach has used his platform as an NFL player for good in numerous ways. This past summer, he traveled back home to Maryland to host a free football camp for kids from low-income families. He also wants to help raise awareness about his mom’s disease and to let others who are suffering from the disease know that they aren’t alone in this fight. Zach believes it’s important to spread awareness about sarcoidosis because it’s a disease that’s not often talked about, not even by those who have it. Since he’s started speaking out about his mom’s battle with the disease, he’s heard from several past teammates and friends who also have family members affected by the disease. He thinks people being scared to speak out about being sick is one of the reasons sarcoidosis doesn’t get as much attention as other diseases. [My mom] is proud, she tells me that all the time. She tells me how happy she is that I’m using my platform to make a difference. I just gotta really thank her for that, because she’s the one that instilled that behavior and that personality in me… I just want sarcoidosis to be one of those things that people are fighting for. 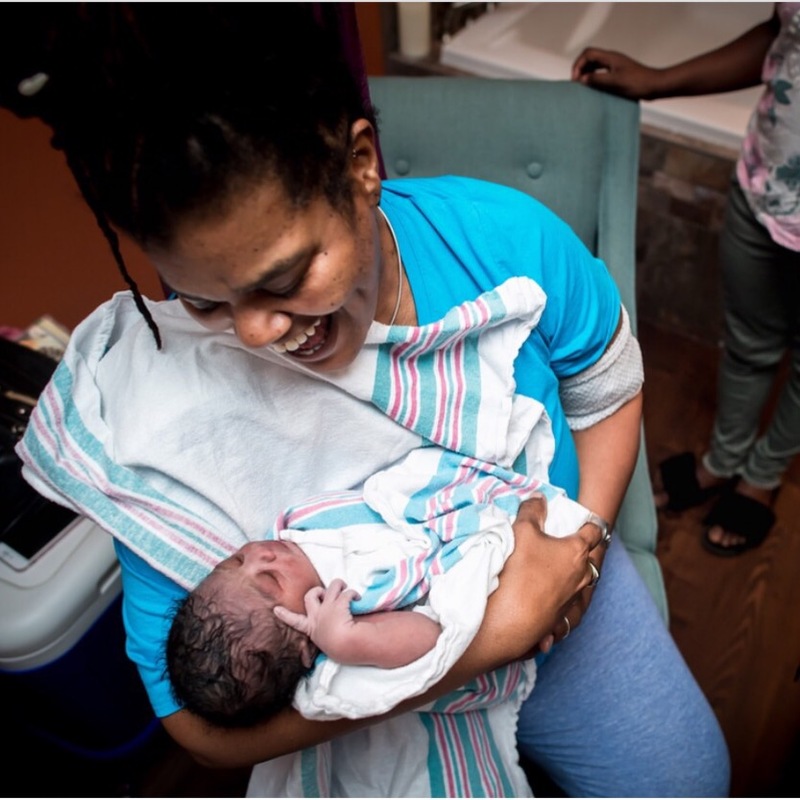 Around 2001, Tinya Kerr and her three children were living in a homeless shelter in Maryland. As part of the screening in the shelter, Tinya was required to get tested for TB. The tests included an x-ray, and the results of that x-ray changed Tinya’s life forever. While she didn’t have TB, there were signs of serious scarring in her lungs, and the pulmonologist running the test said it looked like sarcoidosis. He wanted to do a biopsy to confirm. Tinya was scared and didn’t want to know what a diagnosis of sarcoidosis would mean for her and her children. She didn’t go back for the biopsy. Several years later, Tinya had a cold that she couldn’t shake. She went to a pulmonary specialist and the diagnosis of sarcoidosis was finally confirmed. I did a lot of research but I could not find a lot about sarcoidosis, only that it was an inflammatory disease and that the population it affected mostly was African-Americans and of the population African- American women was diagnosed more. Tinya decided to start eating healthier, cutting processed foods out of her diet and seeking out anti-inflammatory foods. She started feeling better and had minimal symptoms of sarcoidosis for years, while life continued to happen. Tinya struggled with the death of her youngest brother, taking care of her parents, getting out of a 15+ year abusive relationship, all while parenting her three kids. 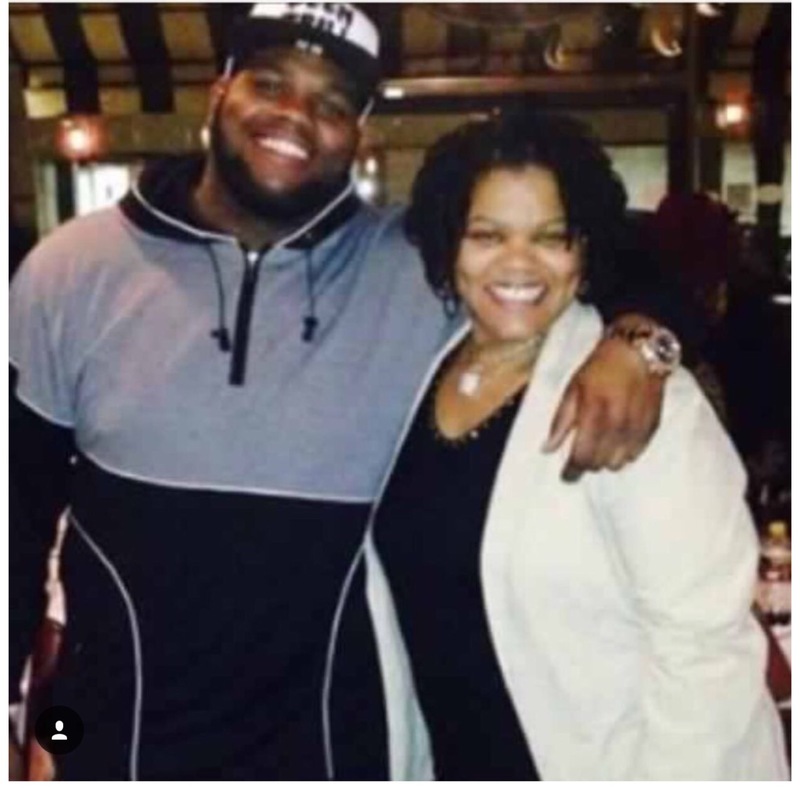 Her oldest daughter had three children that Tinya helped with, Zach was excelling in football with prospects for a scholarship, and her youngest daughter was still in her rebellious teenage years. Around 2012-2014, Tinya finally had time to focus on herself again. Her health had been progressively getting worse again, but she was so focused on taking care of those around her that she hid her declining health. Zach was on the NFL radar and Zionna graduating high school and Zipporah a seasoned mother, I felt I had accomplished some good stuff and if I was going to die—because I thought I was doing just that, dying—they would be ok without me. Tinya had been having another flare up, and further testing revealed her lungs were under attack, and she had a severe infection. She went on antibiotics for 18 months before the side effects became too much to bear. Her breathing had improved and her children were doing well; Zach was an NFL rookie playing for the Indianapolis Colts. Tinya started studying to be a licensed massage therapist and reiki practitioner, as she had come to appreciate physical and spiritual wellness as part of her coping with sarcoidosis. Tinya is also a practicing Buddhist and credits her community with keeping her anchored throughout the chaos of being sick. Tinya has had continued struggles with sarcoidosis, but has been working to maintain her health. 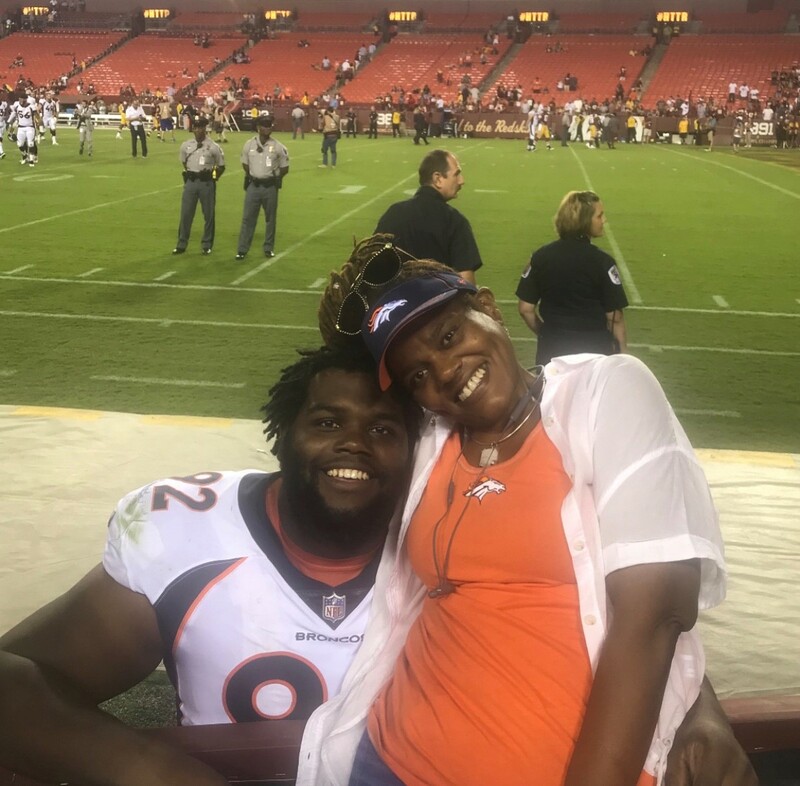 After Zach was signed to the Denver Broncos in 2017, Tinya was staying with him in Colorado when she was hospitalized with a severe infection in her left lung and her right lung was barley functioning. Doctors gave her only a 10% chance of pulling through, but an intense treatment regimen including 120 days of intravenous antibiotics helped save her life. When she was feeling better, Tinya went off the treatment again but continued to seek out healthy lifestyle alternatives to help keep her health in check. Like many sarcoidosis patients, Tinya has always worried about the toxicity and long-term effects of the treatments she is prescribed for sarcoidosis. While she seeks out specialized care that includes holistic approaches to maintaining her health, she recognizes that not everyone has the privilege to access these kinds of treatments. Tinya currently resides in Florida and is proud of her son Zach for his work as an advocate for sarcoidosis.